Harley Eye Clinic was originally founded (as Dr Max Moore and Partners) in 1958. To this day the practice still has patients attending from those early years. Originally situated in the Bank of NSW building on North Terrace it moved to the Liberal Club Building then Security House on North Terrace before relocating to Harley Chambers in North Adelaide when it changed its name to Harley Eye Clinic in 1997. The practice relocated to Melbourne Street in 2013. Harley Eye Clinic at Glenelg has been our second set of consulting rooms since 1980. The practice has evolved and currently consists of three partners, Dr Michael Hammerton (who joined in 1985), Dr Richard Fleming (who joined in 2002) and Professor Robert Casson (who joined in 2005). The partners share highly ethical medical philosophies and provide holistic, state of the art, medical and surgical eye care on a broad background of pre and post graduate training and experience in general medicine and surgery including such specialised areas as anaesthetics, cardiology, ENT, dermatology, gastroenterology, neurology and neurosurgery. This extensive medical training together with their medical and life experiences fits them to provide the best ophthalmic care for their patients. The clinic is equipped with cutting edge technology with which to provide expert care in advanced cataract surgery, medical laser procedures, glaucoma, macular degeneration and diabetic eye disease as well as numerous other eye conditions. 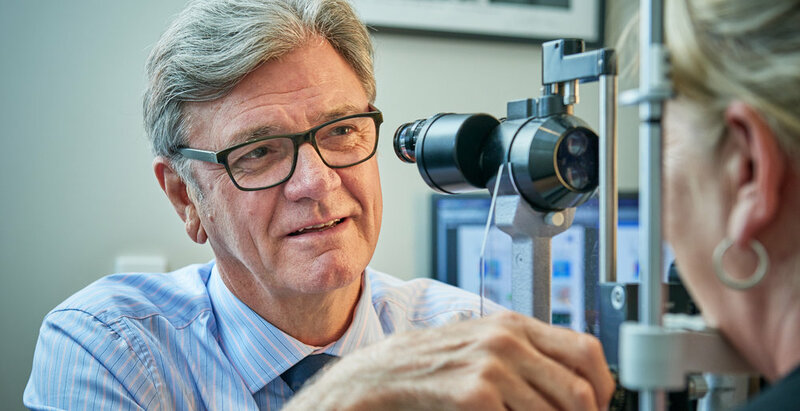 Each of the partners has been involved in teaching and examining ophthalmologists, general and other medical practitioners, medical students and nurses. Each has provided volunteer services in Indigenous health and overseas aid. The practice supports Sight for All, the South Australian, overseas and indigenous sight saving foundation. Currently the practice provides consulting services at 3 locations, Melbourne Street, North Adelaide, Anzac Highway, Glenelg and, Torrens Street, Victor Harbor. Surgical procedures are performed at Calvary North Adelaide, Memorial Hospital, Glenelg Community Hospital and South Coast District Hospital.